? 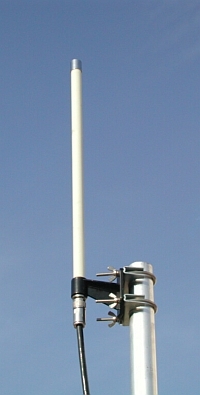 Complete Antenna System incl. Cable and Pre Amplifier ? With a good cable ou can save a lot of hassle, and you improve the reception! The traditional cables used for scanners etc. (RG-58) ar not suitable for these high frequencies, here you should use a good low loss coaxial cable. like Ecoflex-10, Aircom+ or even Ecoflex-15. The cable part no. 40340.x is a high quality low loss cable, type CLF-400 or Ecoflex-10 (depending on availability), double shielded, ready to use with N connectors on either end. The connectors are protected with heat-shrink tube. Cable diameter approx. 10mm.